Many ink cartridges (but not all) can be used several times over by going through a process of being “remanufactured”. Remanufacturing is a process of cleaning, servicing, refilling and testing cartridges, by doing this we are able to limit the amount of cartridges that are thrown away and put into “land fill sites”, therefore contributing to saving the environment. We recycle externally and give to charity(s) any money received from the recycling company. Which cartridges can be recycled? note: there are others, if in doubt please contact us. Accumulate a few cartridges before you return them ie 4-10 or more. Please email Customer Support with details of cartridges you are sending, they can then monitor returns and donations. 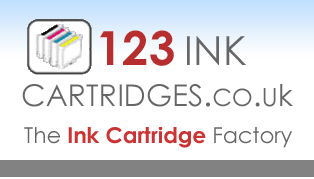 Please wrap each cartridge in paper (this can be used news paper), this will minimise any surplus ink leaking. Place all the ink cartridges in a “Jiffy Bag”, or for large quantities please use a box.